Point House Cottage is positioned in 7 acres of hidden lawns and woodlands. 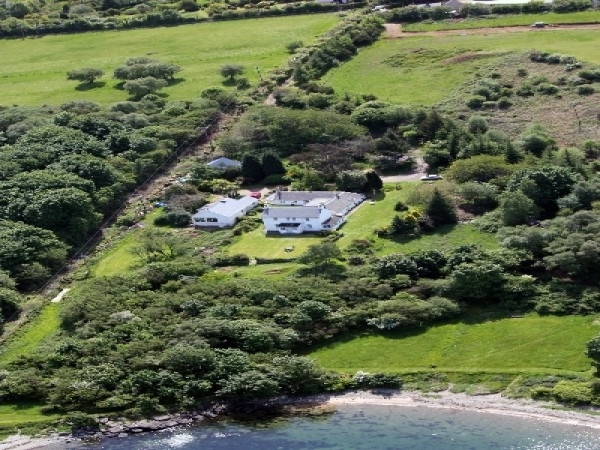 With its walled front garden, this property is the main house of a traditional Arran farmhouse and its outbuildings. 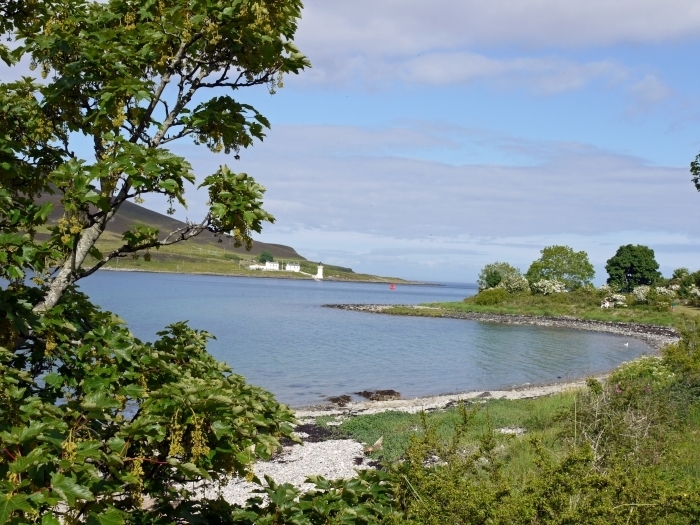 Point House Cottage is adjacent to Point House and situated in 7 acres of secluded lawns and woodlands at Kings Cross point between the villages of Lamlash and Whiting Bay and 7 miles from the ferry terminal at Brodick. 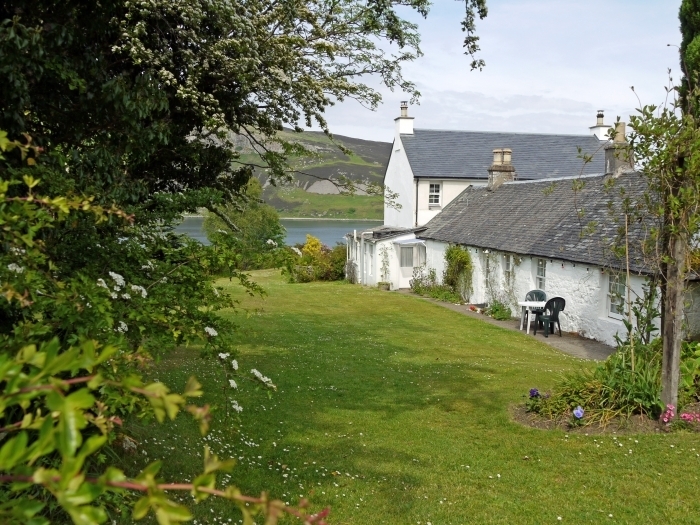 This traditional stone holiday cottage is the original croft dwelling and byre and dates back about 200 years. Access is by private road and there are ample parking places and safe play areas for children. 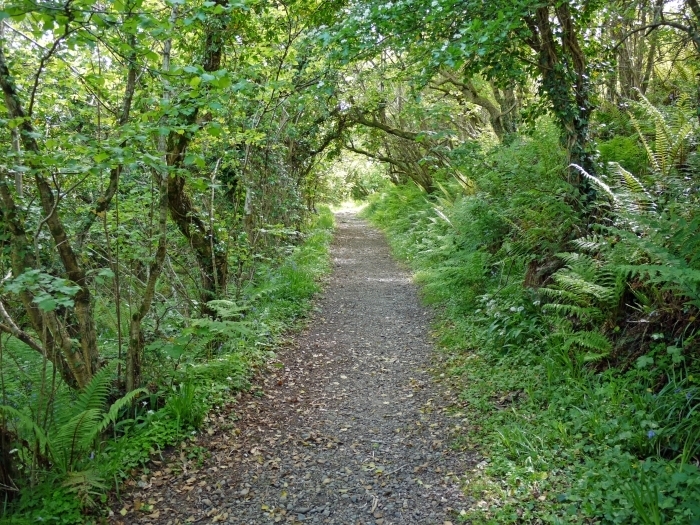 A footpath leads from the cottage down to the shore where there are 2 sheltered bays (1 shingle and 1 shingle & sand) with rock pools. A large grassy area by the shore is ideal for ball games and there are several delightful walks in the locality. The views from the shore are spectacular, looking north to Lamlash and the Goat Fell mountain range and east to Holy Isle and its lighthouse. 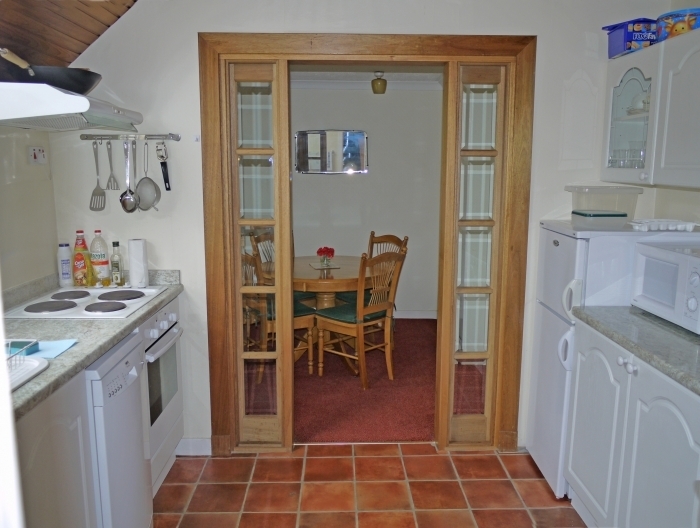 This self catering holiday cottage is all on one level and has been completely renovated in recent years. Spacious king size master bedroom with raised beamed ceiling and an en-suite shower room, WC & WHB. Second double bedroom and small bedroom with bunk beds. Bathroom with sunken bath with shower over, WC & WHB. Fitted kitchen complete with electric oven & hob, large fridge/freezer, washing machine/dryer, dishwasher and microwave, leads to small dining room. 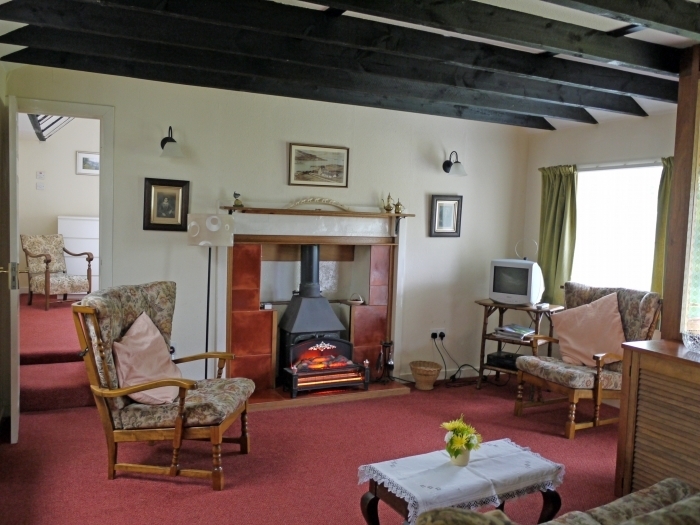 Lounge has cottage suite, Flatscreen TV with Freeview and wood burning stove. There are night storage heaters in all rooms plus additional electric fires. 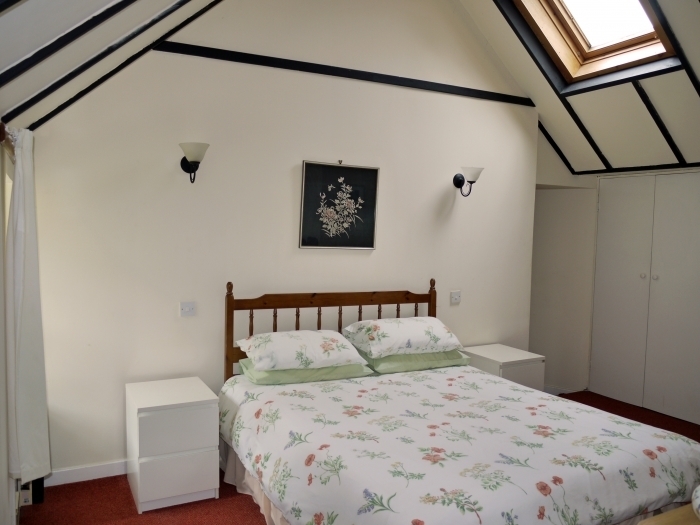 This cottage ideally sleeps 4, with the additional bunk room for children if required.